Making music, drumming, juggling, and meditating are typical pursuits in Mauerpark. The Folkwiese group takes on these activities, all while promoting music and dance from many different countries and cultures. 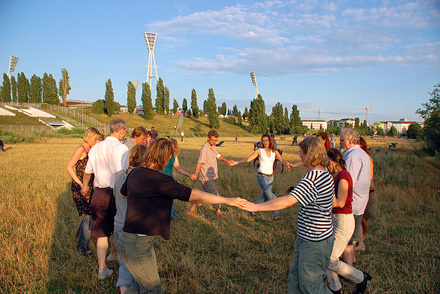 Mauerpark offers people young and old the unique opportunity to move and relax in the city, in nature, and under the open sky.